“Well well, looks like we have a Sherlock Holmes here”, in very poorly written Brazilian Portuguese. Translating is not the same thing as speaking a language. It’s an excellent method to practice a language, to understand the way it works, to increase your vocabulary, but they are not the same skill. For a start, let’s point out that the less a person needs to “translate” in their mind the sentences of another language into their mother tongue, while communicating in this foreign language, more fluent they are considered. And in fact, communication becomes less spaced and broken as we eliminate this mental process of transition, and translating becomes “harder”, that is, you understand the expressions in the original language so well in all its possible meanings, that you take more time to find a perfectly equivalent expression in your native language. In addition, to speak a language fluently, you need a minimum vocabulary, which varies from language to language, but is usually estimated between 10,000 and 35,000 words, depending on the source. That's because we use to talk about the same topics in our everyday life, so the average everyday vocabulary of any language is quite limited. In real life situations, the idioms and other expressions are what makes our lives harder, but this is a topic to be explored in other essays. When we talk about translating, however, the bottom of the issue is still a long way off. Whether we are talking about technical or literary translation, you will stumble upon a vocabulary we don’t use every day. Too much or too little, this new vocabulary will be there, and while to watch a movie or read a book or to keep a conversation you don't need to understand 100% of what is being said, you can just guess something from the context or by intuition, it doesn't work like that in translation. Yes, you can guess the meaning of the words, but it would be irresponsible to transcribe the result of your guessing, without checking if it's correct, because when translating your goal is to prepare the text in the target language for others to understand, for people with different intellectual baggage. The smallest detail, the position of every comma matters. Now, surprise: you won’t find everything you need in a bilingual dictionary. Even if you have a lot of very good dictionaries, none of them will contain every possible meaning of every word (and abbreviation) contained in a language, because the languages are in constant evolution. No, I’m not talking here about the controversial debate on vernacular vs. colloquial language, but it is a fact that new words appear every day along with the new experiences, technologies, etc., that arise in society, and as people start to use them, we need to translate them. A great example are the memes; they're everywhere these days, they refer to specific situations and sometimes have no connection with the literal meaning of the sentences contained in them, i.e. a literal translation wouldn’t catch the spirit of the meme. Now we’re starting to find them even in novels set in present days, since memes are a thing in present society, and soon they’ll start to challenge the translators (if they still don’t). “I don’t fear to say it”. A meme from a currently very popular Brazilian humoristic show. Similarly, words become obsolete, and if you are translating an old text, it can contain a lot of hard terms, no longer used. This very long text had the sole purpose of leading us to the question: what should we do when we don’t find the word or the meaning we need in the bilingual dictionary? Well, in the next lines I should tell how I deal with such situations. The tips are quite basic, actually, and if you’ve been translating for a while, you probably know and apply all or most of them. But as long as these strategies can help a beginner, sharing them might come in handy. If you master the source language and it’s not hard for you to read it, and you couldn't find the translation of a word, you can look up its definition in a monolingual dictionary. Then, knowing what that word expresses, you may search in your head for the name of that thing, action, feeling, etc. in the target language. I use this process often when translating idioms or exclamations from Russian to Portuguese. Russian has some particles with no proper definite meaning or translation (ведь, же, так, ли), which appear a lot in colloquial language (and therefore in fictional dialogues), though, to express surprise, shock, conviction, etc. The search for an equivalent word in Portuguese for each particular case causes these particles to be translated differently almost every time. I also use this process a lot when I stumble upon the prefixed verbs, which the bilingual dictionaries not always bring. If you understand that the word you are looking for is the name of something, whether it’s an object or even a theory, you can look it up on Wikipedia. The reliability of the site as an encyclopedia doesn’t matter for our purposes. What you’re going to do, after you find the term you were looking for, is to go to the side bar and look up down there on “in other languages”. If you're lucky, you'll find your target language there and, consequently, the term you need in this language. I’m not talking here about Google Translator, although it can be consulted as a dictionary sometimes. They are improving the service for some languages or language pairings. They still don’t work well with Russian-Portuguese, though. But simply typing the word or idiom in Google Search field may return some interesting results. Besides leading you to the most obscure dictionaries and specific glossaries of the field you are working with (medicine, IT, Law, etc. ), it may return some articles in which the word is used and whose reading can help you to understand its essential meaning. Believe me, sometimes that's the only option. Before reading those articles, however, you can click on the tab “Google Images” and find the visual results of your search. If the word represents an object, there are great chances that you will find it there. Even if you don’t know the name of the instrument, plant, piece of clothing or whatever in your target language, you can save some images and use them to increase your possibility of finding help in forums, especially if your source language is not broadly known by your target language colleagues. Looking the pictures, your translating fellows will be able to help you never mind the languages they work with. If you didn’t find the answer you need already available on internet, you can always appeal to people. Actually, you can use this resource from the start, but if you keeps asking one in every three words you translate, well, it’s the others who are translating the text for you, right? You can ask people whose mother tongue is your source language, people who speaks it in a more advanced level than you, or simply to your fellow translators, in forums of specialized sites, such as Proz or TranslatorsCafe, or even in Facebook groups. Some of these groups are pretty active, with a lot of helpful people. In addition to tips on where to look, there are also some tricks about how to search. Sometimes the word is part of an idiom or collocation; in Portuguese, we have the adverbial phrases (com certeza, sem dúvida, de maneira nenhuma, etc. ), in English there are the phrasal verbs, whose meaning is given by the verb + the preposition that comes next to it (get up, take off, etc). Searching for the words one by one, in such cases, won’t return the desired meaning. So, if you’re looking for a word, and the meaning you found makes the translation sound senseless, try looking up the word along with the others surrounding it, especially if they are adjectives. In Russian, for example, there is the бабье лето (babie liéto), which means Indian summer (a period of unseasonably warm, dry weather that sometimes occurs in autumn in the Northern Hemisphere, according to Wikipedia). 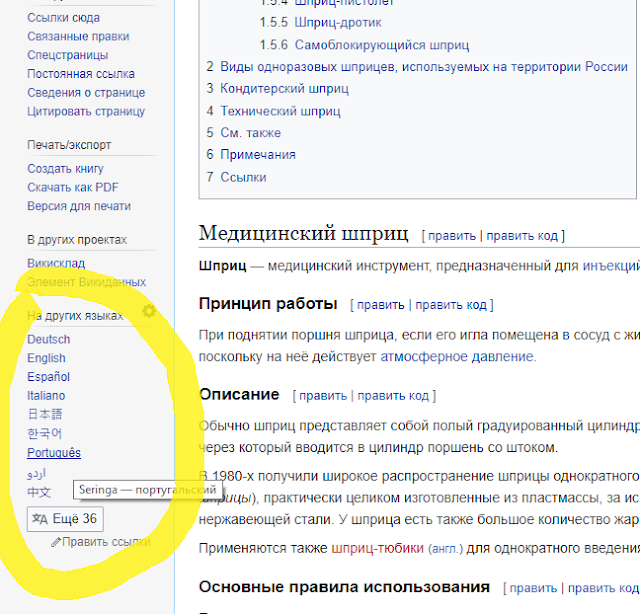 If I tried to look up the words separately, however, I’d find “бабье”, which could at most be taken as an adjective such as “female, feminine” (related to баба, woman or old woman, in peasant or vulgar slang), and “лето”, summer. I would obtain “feminine summer”, which doesn’t make a lot of sense. Extending this notion, we come to the importance of context. If you’re going to ask the meaning of an idiom, either to native speaker or translators, it’s highly important to provide the context, because many words switch their meanings (and much more often, their translations), depending on the sentence in which they are being used. Even when you’re just looking up the dictionary, minding the context is always important. Sometimes the same term has a lot of meaning, one for each field. The word "organ", for example. In music, it refers to an instrument. In medicine, it’s a part of the body. In the legal area, it generally refers to an agency, department, or so. Simply opening the dictionary and getting the first meaning listed won’t solve your problem every time. Spelling mistake (deliberate or not): it’s something that happens often in books — and, possibly, in the movies — when the author or scriptwriter tries to reproduce accents or the common people’ slang. Assume you are translating a text from English to your native language, and the writer meant to portray a texting dialogue faithful to real life between two people who received poor school education. Then in the dialogue you find stuff as your wrong, wierd, immediatly. Some dictionaries may even bring those terms and redirect you to the correct versions of those words (according to official spelling rules); in general, however, this won’t happen. A translator whose mother tongue is English will recognize these words despite the ‘mistakes’, but if the translator is not a native speaker and thus is not familiar to them, he’ll have to rely on his intuition and the context to understand what the author meant to do. Modified name of a person or thing: It appears a lot in humor texts, satires, when the author means to speak about people sometimes still alive, but not to get into trouble, they “disguise” those people’s names. It appears a lot in Monica’s Gang’s (now Monica and Friends’) comics. People also use this trick to disguise brands, in order to prevent a copyright violation or unpaid merchandising. For example, in iCarly series, the phones, notebooks and other gadget used by the characters were produced by the “Pear” company (pearphone, pearbook, etc), in a clear allusion to Apple, so that the gadgets ever bore the symbol of a pear. The point is that such disguising is purposely precarious, for humoristic effect, and thus the translator is able to detect it and find a way to translating, preferentially keeping the humor. Incomplete or modified expression: Most languages have proverbs and idioms that make up a large slice of its lexicon and, by themselves, are a challenge to translate or even comprehend. Someone who’s not a native speaker of Brazilian Portuguese, even if they have studied the language for a long while, would hardly understand the trick the humorists played in this video (but if you know Portuguese, you can try). They explored the double meanings of several idioms, applying their figurative meanings to the dialogue, while with their hands performing — in the context of the scene — the actions referred to by those idioms, if taken literally. It’s one of my favorite humoristic videos ever. — What are you preparing, after all? — Pavê (a Brazilian dessert). — ...but it is pavê...? The name of the dessert sounds like a little “to see” (pra ver) in Portuguese. In Brazil, this dessert is traditional in Christmas and New Year dinners, when the families gather together for the holidays, and there’s always some uncle that makes the same pun with the name of the dessert: “Mas é pavê ou pacumê?” (it sounds like, Mas é pra ver ou pra comer?, But is it to look or to eat?). Every Brazilian knows this lame joke and it even generated the cultural institution of “pavê uncle” (o tio do pavê). When we want to say that someone’s jokes are lame and they should just stop, we call them “the pavê uncle”. What a challenge would be to translate something with such a cultural weight! And specially if it appears only insinuated, like in the video. If the expression is just incomplete, the translator may find it, searching for the available half. But if it has been modified, the work gets harder. Let’s assume that a writer used the idiom “to handle a hot potato”, which means to deal with a tricky and complex situation, but as he the situation he has in mind, on that contrary, is easy to deal with, he modifies the idiom and talks about “handling a cold potato”. Never mind how they search, in this case, the translator won’t find “cold potato” anywhere, at least not with the meaning intended by the writer, because the author himself invented this idiom. The pun can be hard even for a native speaker to unravel. Conclusion or allusion that refers to a premise that is of common knowledge: These one is really hard to spot. The day before I wrote this text, I was watching an online lecture on text analysis, and the teacher commented about an excerpt of a Pushkin’s poem in which he wrote something on the lines of “In Paris, there isn’t black bread/ It’s not good living in Paris”. The two sentences, apparently, are not connected; one doesn’t logically follows the other... unless you have enough cultural background as to know that the Russians love black bread, and that’s why its non-existence in Paris spoils for them the experience of living in this city. It is true that here we have a problem of comprehension rather than a problem of translation. Sometimes such problems coincide, though. Not long ago I was translating my own tales to English, and the seller of a shop calls his customer “doctor” every now and then. After, the narrator refers to this customer ironically as “the doctor without a doctorate” (doutor sem doutorado). There aren’t hard words in the original sentence, it’s used in its literal meaning. The irony it carries, however, and thus the very presence of the qualifying fragment “without a doctorate” aren’t comprehensible to someone who isn’t familiar to the Brazilian controversy upon the title of “doctor” being applied to medical doctors, lawyers or broadly to important people who never receive the correspondent academical degree. The difficulties listed here are subtle, and only with a combo of experience, intuition, and knowledge of the source language’s culture, the translator will be able to overcome them. The knowledge of the target language is also very, very important, since it is not enough for the translators to understand a text, they also need to be able to make it comprehensible, as highlighted in the first lines of this article. The good part is that the more we translate, research, read and unravel complex terms, the more our experience and knowledge grow, and we gain confidence to guess with less fear of making mistakes. And this evolution is precisely what makes translation so charmant, it’s it?